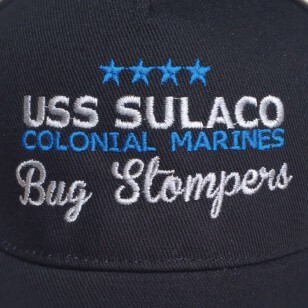 USS Sulaco Baseball Cap with Blue Trim. Inspired by Aliens. Black Baseball Cap with Blue Trim. 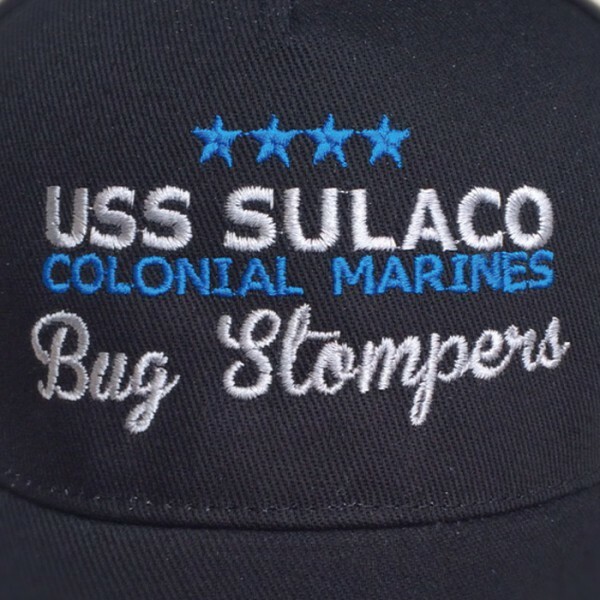 Embroidered Logo in Blue and White: USS Sulaco, Colonial Marines, Bug Stompers.